Summary: Want to find a UHD Blu-ray player to play 4K UHD Blu-rays? Here is the list of top 5 best UHD Blu-ray players for your reference. The 4K resolution has been the trendsetter in the market which owes very much to the UHD Blu-Ray players. It gives sharper and detailed picture of the contents of the video that makes it worth a watch for the viewers with a very new experience of the display. These 4K videos are usually run on UHD Blu-Ray player software’s and hardware for a better output, people are not much aware of this and blame on the system for not getting the proper output. To give clarity to this issue we are here with the top 5 UHD Blu-Ray player out in the stores. These software players are the top trending 4k Blu-ray player for pc, available in the market. A very detailed description of every software program is included in this content and you will have clarification for all your doubts about the 4k Blu-ray player software. The all-new DVDFab 5 player has been revitalized with a power-packed playback engine which enhances stability, compatibility, and smoothness to the video. The playback engine can open a 4K UHD video disc or file 5 times faster than the other players, maintaining the overall stability and smoothness. It has also come up with a totally different user interface for both the PC and TV, which brings a compact visual treat for the user while surfing through the media. The navigation menu offers an all-around support for the media, which make it easier while searching from where you left the last time you played. The features of this 4k Blu-ray player software doesn’t end here. It has got 3D playback capability which enables you to watch the 3D Blu-ray movies without losing its depth and detail. The HDR10 playback mode establishes a visual impact giving more detail to the pixel, color, contrast and a rapid frame rate. High-resolution audio support enhances a crystal-clear audio through the output, with a capacity up to Dolby atoms & DTS. The 4K UHD Blu-ray playersupports all file types like MP4, MOV, MOD, VOB etc. regardless it’s a 4K Blu-Ray player Software. The additional features like sneak peak through the thumbnails for a quick review of the video and customized playlist make it easy for you to go through the playlist. These all in one feature make this 4K Blu-Ray Player software the best among the rest. 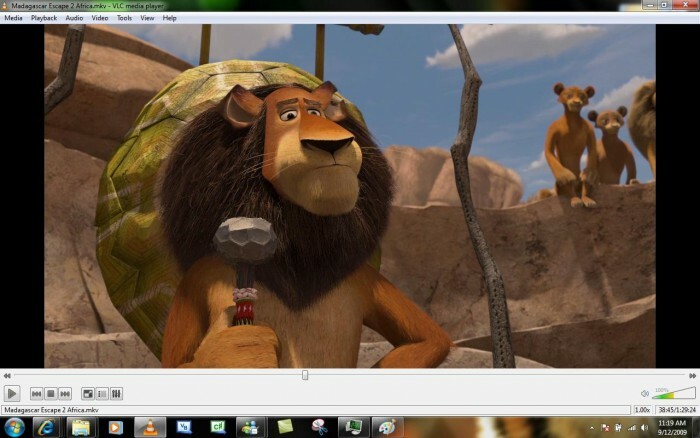 The VLC media player is a most commonly used software for playing any format of video without any lag or stream like it play everything. 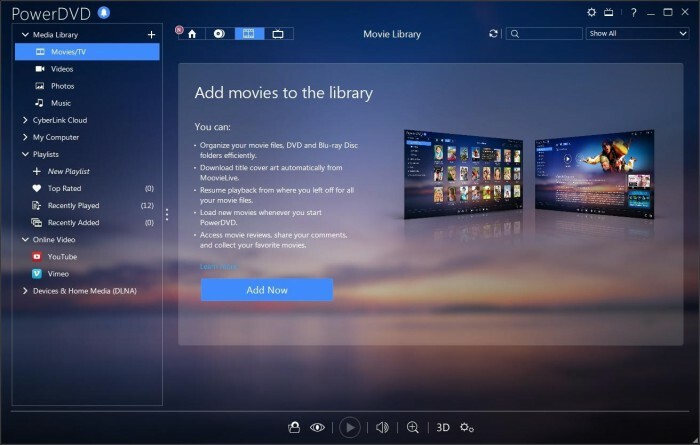 The recent update made it much better and thicker to play the 4K video, this impact makes it one of the favorite 4K Blu-Ray player Software in the run. The software is free to download for both Windows and Mac. It can open your 4K video with a blink of your eyes and that’s what makes this player one of the tough competitors out of the rest. The CyberLink PowerDVD 16 creates a theatre like an experience at your home, going beyond the limits any other player could even imagine. It plays the 4K video smoothly, gives a richer color to the video and bright up with HDR10. CyberLink enables 360° virtual reality treat on your screen with advanced power saving technology. The true theatre feature enhances SDR contents to HDR level. It also gives richer audio experience with its true theatre sound technology. The iDeer Blu-ray player is one of the leading 4k UHD Blu-ray players which is suitable for the PC users. It gives original image quality and sound throughout the video making you watch the color in detail. This 4k Blu-ray player software is compactable only on the PC giving a wonderful Blu-ray experience. It supports multiple video and audio formats other than Blu-ray videos. Aurora Blu-ray Player is another bestUHD Blu-ray player compactable on Windows and Mac. You will see a vivid range of colors and some standard audio quality comparing the rest mentioned earlier. The design is user-friendly that allows a person to control the media who are not much aware of these things. This software gives you visual treat for sure making the media go colorful for your vision. You can’t just watch 4K Blu-Ray without any buffer or lag, there are some requirement. We have made a complete detail about the requirements right here in this topic to give clarity to your questions. ● Your system should have 4K Blu-ray player software and 4K Blu-ray hardware. ● For windows users your system should be Intel core i7 processor and in the case MAC users it should be an iMac with retina 5K display. ● There should be NVIDIA GeForce GT 750 on your windows. These are the minimum requirements that should be there in your system for watching a 4K Blu-ray video without any buffer or jerk. Coming to hardware side, it will cost you a lot of penny comparing the software some of them are free on the web. These hardware’s helps you to watch 4K movies and listen to Dolby sounds without any lag. Some of the commonly used and top-rated hardware’s are Sony BDPS6500, Samsung BD J6300 and Philips BDP7501. It comes with in built 4k streaming apps, YouTube, Netflix and much more. This article only introduce players for playing 4K Ultra HD Blu-rays, but if you also want to find a tool to back up your 4K Ultra HD Blu-rays, please check the steps of copying UHD Blu-rays. Looking for a UHD/DVD player software for playing discs on your computer? Now we put together a list of reliable UHD and DVD player software that you can use to play everything ranging from DVDs to 4K Ultra HD Blu-ray discs.